I grew up on Main Street, conquered Wall Street and, ultimately, returned to Main Street. . . . The result is that my mission in life is to help everyone experience the joy of giving and to give a gift they never imagined possible. Give to Live: Make a Charitable Gift You Never Imagined by Arlene Cogen. 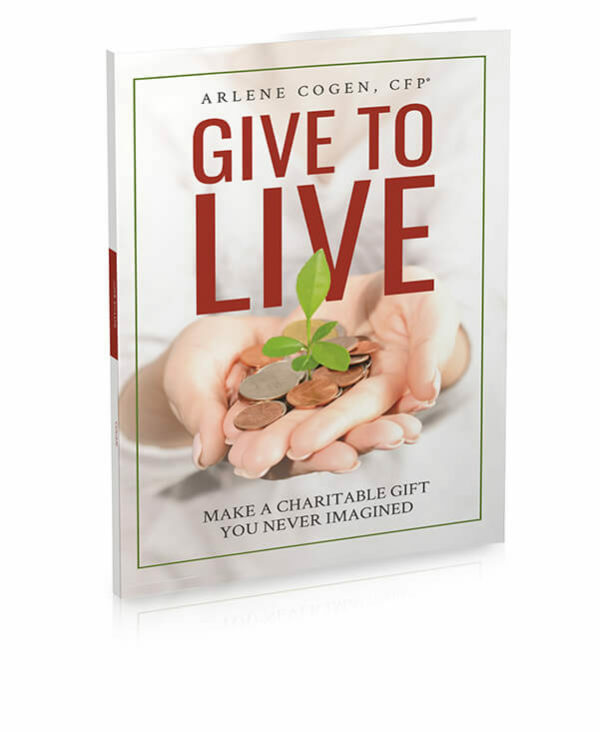 Arlene's new guide to charitable giving provides straightforward and thorough information about philanthropy for individuals and the professionals who guide them. Give to Live is available in a Kindle edition for only 99¢, for a limited time.